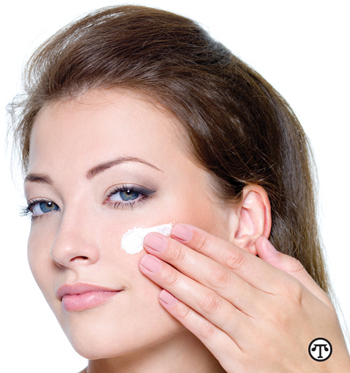 For skin to look younger, faster, multiple signs of aging must be addressed simultaneously. (NAPSI)—Here’s an ingenious approach to keeping skin looking young-do everything at once. • Jasmonic Acid: An effective yet mild active that supports epidermal renewal to visibly correct wrinkles, fine lines, and loss of suppleness and elasticity, while gently smoothing and retexturizing. • Beech Tree Extract: A sugar-protein hybrid found in beech trees, known for its ability to improve skin firmness and visibly improve plumpness and density. • Fragmented Hyaluronic Acid: Known to reinforce skin’s natural moisturization and improve skin barrier function and elasticity, while reducing skin roughness and the appearance of wrinkles. The result of its cutting-edge formula and proprietary Kiehl’s Tri-Active Technology is Kiehl’s Super Multi-Corrective Cream to lift, firm, sculpt and smooth skin. It’s been clinically demonstrated to lift, firm, visibly redefine skin contour and retexturize skin within two weeks, with double efficacy in four weeks. For more information about Kiehl’s Super Multi-Corrective Cream, visit a Kiehl’s retail store, call 1-800-KIEHLS-2, or visit www.Kiehls.com/Super-Multi-Corrective-Cream.